I. GETTING YOUR FEET ON THE GROUND 1. Building Your Basic Toolbox 1.1 Introduction: Could a Computer Simulation ever be useful? Why do Them? 1.2 How much should a simulation be trusted? 1.3 Who first used them and why they came about 1.4 What¿s the state of the art? What limits have been pushed? 1.5 The Simulation¿s New Clothes 1. 6 Computer modeling is a very interdisciplinary field. 1.7 What types of models are most important for everyday things? 1.8 When do you build your own tools and when are black boxes the best? 2. Getting to Know the Neighborhood 2.1 Overview 2.2 The UNIX Operating System 2.3 The Vi Editor 2. 4 A working introduction to C++: basic coding 2.5 How do I choose a good algorithm? 2.6 Compiling, linking and executing simple programs 2.7 Examples of what can be done wrong: compile errors, execution errors and bugs 2.8 Doing it Without a Supercomputer: computing on Macs and PC¿s. 2.9 Mapping your C++ knowledge to other computing languages 2.10 Critically thinking about your work: Relevance, applicability and limits 2. 11 Your work in the broader context of the scientific and technological community 3. Visualizing Your Work and Representing Your Best Story 3.1 Introductory Thoughts 3.2 Visualizing two-dimensional data sets 3.3 Visualizing three-dimensional data sets 3.4 Making pictures and movies 3.5 A sample visualization program 3.6 Four- and higher ¿ dimensional visualization: yes, it really works! 3. 7 Cross-sensory visualization: what if you can¿t see or hear? 3.8 Limiting cases and effective (reduced) systems 3.9 Visualizing calculus part I: Derivatives 3.10 Visualizing calculus part II: Integrals 3.11 Critically thinking about how best to visualize your results 3.12 Examples of visualization and presentation of data 3. 13. Visualizing various stages of cancer cell growth II. MODELS OF EVERYDAY THINGS 4. In the News: The Fun and the Dangerous 4.1 Modeling the flight of objects through fluids: using science to play a better game 4.3 A Physics Nerd, A Cool Guy and a Pool Table 4.4 Understanding Things of Danger in Hindsight and Foresight 4.5 Diseases 5. The Dances of Guitars, Bridges, and Atoms 5.1 Introductory Thoughts 5. 2 A finite difference simulation of a guitar string 5.3 A little mathematical overhead that provides a wealth of understanding 5.4 Living in 2D: Sheets and Drums 5.5 Sometimes you win and sometimes you lose: Advantages and disadvantages of each method 5.6 When resonance isn¿t your friend: The Tacoma Narrows Bridge 5.7 Matter waves: Schr¿dinger¿s Equation 6. Going with the Flow 6.1. Introductory thoughts 6.2 How fluids move around boundaries 6.3 A sample program that calculates wind velocity in Cartesian coordinates 6.4 Snow in July 6.5 A sample program that simulates a snowstorm 6.6 How fluids move through porous media 6.7 The Heat Equation III. BEYOND EVERYDAY PHENOMENA 7. 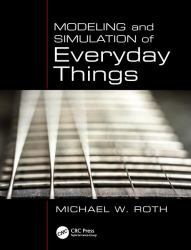 One of the Most Versatile Simulation Tools Around 7.1 Introduction 7.2 Theory behind the Material Point Method 7.3. A Material Point Method Program 7.4 Applications of the Material Point Method Simulation 8. Simulations that Explore Atoms and Planets 8.1 Introduction to Molecular Dynamics computer simulations 8. 2 Molecular Dynamics simulation of a system of particles 8.3 Monte Carlo Simulations 8.4 How do we choose MD or MC? 8.5. The Dynamics of Planetary and Galactic Systems 8.6. Advanced planetary dynamics methods designed to save time: go climb a tree IV. A GLIMPSE INTO MORE ADVANCED COMPUTING 9. Parallel Computing, Scripting, and GPUs 9.1Introductory thoughts 9.2 Decompositions: Breaking up is easy to do 9.3 Example Parallel Programs 9.4 Compiling and executing MPI codes 9.5 UNIX Scripting 9.6 Graphical Processing Units (GPU¿s).